Building on Past Successes in SpaceThe Japan Aerospace Exploration Agency (JAXA) has achieved some remarkable successes in recent years. The observation satellite Kaguya spent nearly two years in orbit around the moon from June 2007, obtaining precious data and developing new technology crucial for lunar exploration. In June 2010, the Hayabusa probe became the first to land on an asteroid and bring back particle samples to Earth. Building on these successes, in August 2010 Japan announced its boldest and most ambitious plan yet: a ground-breaking mission that will use robots to explore the moon. This amazing undertaking will use a dazzling array of Japanese technology to shed new light on the mysteries of the moon. It is an enterprise that only Japan, with its superb scientific and technical knowhow, could hope to achieve. 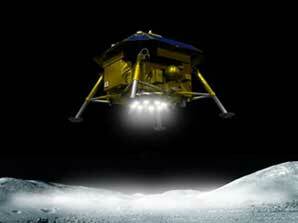 Japan’s lunar exploration program also hopes to put a Japanese crew on the moon in the middle of the 2020s. Unlocking the Mysteries of the MoonThe plan is for a spacecraft to land on the moon in 2015, where it will unload a team of robots. The robots will use state-of-the-art equipment to conduct the most thorough survey ever carried out of the moon’s surface. Later, the robots will build a research base at the moon’s south pole and travel across the inhospitable lunar surface collecting samples and scientific data. When this information is analyzed back on Earth, it should reveal crucial information about the size of the moon's core and the makeup of its mantle. 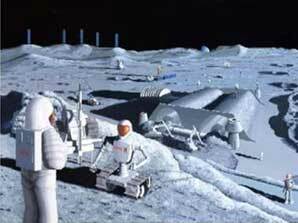 World Firsts in TechnologyThe lunar exploration project will make use of all kinds of amazing Japanese technology, many of them world firsts. The robots will be equipped with a mechanical arm that will allow them to carry out a diverse range of tasks, which will include building the lunar base, setting up the observation equipment, and collecting rock samples. Artificial intelligence will allow the robots to make their own decisions as they carry out their work, based on instructions from mission headquarters and constantly updated data on their surroundings and environment. Dealing With the Harsh Lunar ClimateAnother major technical challenge will be making sure that the robots can withstand the extremes of the climate on the moon, where temperatures can soar as high as 120 degrees Celsius during the day and plummet as low as minus 170 degrees at night. JAXA is developing a completely new type of material that can endure temperature swings of 300 degrees, and is researching new heat radiation and storage technologies to enable the robots to survive on the moon. 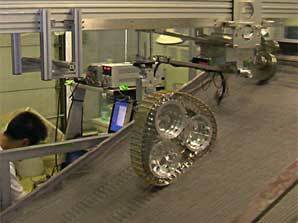 The plan calls for the robots to travel more than 100km in an extremely harsh environment. A robot that gets stuck in the thick dry sand of the moon is likely to stay stuck there forever. 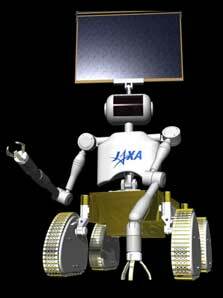 JAXA is therefore in the final stages of developing "elastic" wheels and a crawler equipped with a low-pressure track mechanism that compresses the lunar surface. This unique Japanese-developed traction technology should help to keep the robots moving in even the harshest conditions. In the long term, there are plans to introduce bipedal robots that will work in teams with human astronauts.